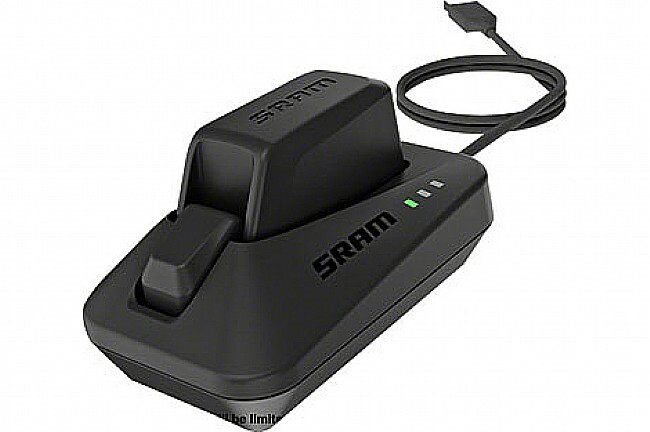 SRAM's eTap Battery Charger and Cord are super easy to use -- the eTap® batteries literally snap in and out for charging. Just flip the tool-free battery latch-up and slide the battery up and out of the derailleur. Then snap the battery into the USB powered charger and connect the charger to any USB power source or A/C USB adaptor. A full charge takes up to 60 minutes to complete.